In 1932 Arthur Kautsch lived in Lohman, Missouri with his wife, Ola, and their 3 yr. old son Marvin. Arthur was a banker and partner in Kautsch-Lenhart General Store while Ola taught grade school. Having become aware of the wonderful opportunities for farming in the tropical Rio Grande Valley, Arthur decided to head to South Texas and check it out. The Kautsches traveled south by train, courtesy of the Swallow Land Excursion Company, to Alamo, Texas which was named Swallow at that time. They decided to buy 10 acres of land South of Alamo to grow citrus. Arthur was a better businessman than a farmer and eventually he bought Humphrey's Lumber Yard in Alamo from the First State Bank and changed the name to Kautsch Lumber. He then purchased Temple Lumber Company, also located in Alamo, which he eventually closed so that Kautsch Lumber could flourish. In 1933, a category 5 hurricane left $16.9 million in damage and 40 deaths in southern Texas. Included in the property damage was the complete destruction of Kautsch Lumber. Undeterred, Arthur rebuilt a larger and more stable structure, paving the way for his son, Marvin, to join in the family business upon returning home from World War II in 1945. A third generation of the Kautsch family joined the business when Arthur's grandson, Marvin's son, John came to work after graduating from college in 1971. Kautsch Lumber Co. became a True Value Hardware store in 1984, which allowed the decades old business to grow into one of the most established and successful hardware stores in the area. In the mid-1990s John added "The Siding Source" to the company logo and became the largest vinyl siding distributor in South Texas, servicing the entire region with quality vinyl products and accessories. 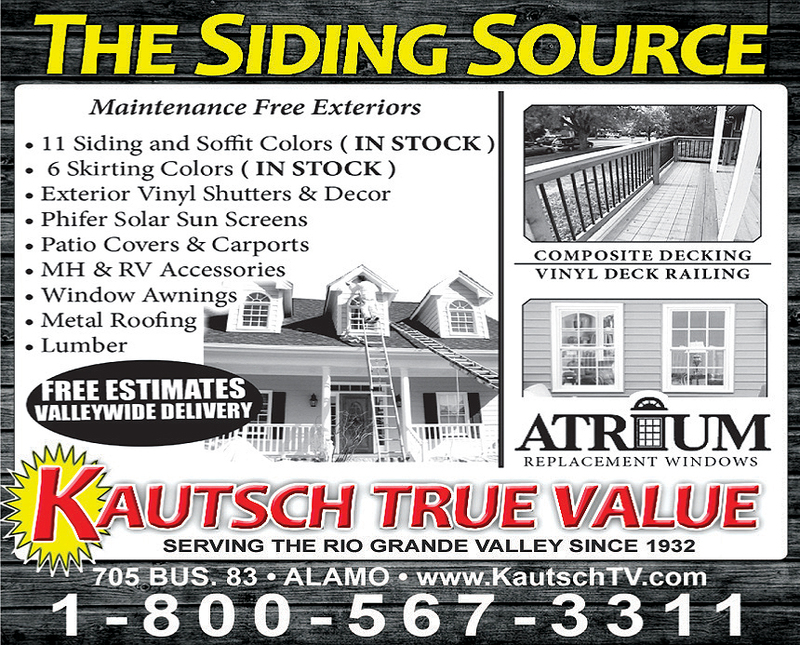 Kautsch True Value - The Siding Source, was built on honesty, integrity and customer satisfaction over many years, spanning three generations of the Kautsch Family philosophy that continues to be a Texas tradition.